A blind man healed by Jesus was cast out of the temple because he attested to the fact that Jesus healed him. These very words riled the religious leaders: ” Since the world began was it not heard that any man opened the eyes of one that was born blind” (John 9:32). The Pharisees would not accept the miracle even though he was staring them in their faces with eyes that were blind from birth but now are able to see. They had hearts of stone, fixed, immovable, unpersuadable; they had hearts of unbelief. What is unbelief? Dr. Lloyd-Jones expounds upon it as a power that controls and manipulates men, a state and a condition that leads to wrath. The Pharisees were so filled with indignation at the testimony of the man who was healed by Jesus that they cast him out. There were other accounts of this consuming animosity, including one time when the Pharisees were so enraged at Jesus that they took Him to the brow of the hill in order to throw him down the cliff. Unbelief is a power based on prejudice. Here was the undeniable evidence of the miracle healing power of Jesus, but the Pharisees would not acknowledge it. They came up with reasons, from saying that Jesus was “merely” the son of Joseph the carpenter, to the accusation that Jesus healed the blind man on the Sabbath. “Christ and the Gospel and the way of salvation that were able to satisfy the intellect of Paul and Augustine, of Luther, Calvin, Knox, Whitfield and a whole lot of other intellectual giants is at least worthy of your careful and serious consideration”. The other element of unbelief is pride. What is holding people back from believing the Gospel message is that they are concerned about themselves, their standing and reputation. It is intellectual pride and fear that the rest of the unbelieving world would call them fanatical, that they have “lost their capacity for reason”. Pride and prejudice are the pillars of unbelief. Dr. Lloyd-Jones concludes that unbelief is a tragedy. It blinds us to God’s most glorious blessings in time and eternity: His gift of salvation through His Son Jesus Christ Who came into this world to preach the gospel to the poor: the poor in spirit, the down and out and the broken, the lost whom nobody else could help because they have made such a mess of their lives; He came to bind the broken-hearted, to give them beauty for ashes, to open prison doors, to deliver people from their sins and the many things that ruin people’s lives. Unbelief makes one hate and revile the Son of God, much like the Pharisees when, face to face with Jesus, they had so much loathing and abhorrence for Him, that they were blind to His glory and majesty and they rejected Him, accused Him wrongfully, and put Him to death on the cross. The good news is that hearts of stone can be transformed to hearts of flesh, as in the conversion of the apostle Paul’s stony heart to a heart of love; from breathing out murderous threats against Christ’s followers, to preaching the gospel of salvation through Jesus Christ to the Gentiles. Thank you very much, BigSkyKen! The image of a heart of stone was on my mind for the past couple of days and I felt compelled to share Dr. Lloyd-Jones’ thoughts on unbelief. Thank you for stopping by. I’ve heard it said that man’s problem is not intellectual, but moral. A very thought provoking post. Thanks for sharing it. And, again, I really enjoy your blog! I agree, Terrie, that man’s problem is not intellectual, but moral. There are proponents of rationalism and science, though, who hold the position that it should only be reason and scientific thought that should rule and be employed in solving man’s problems. Thank you for sharing your thoughts, Terrie! And thank you, too, Terrie for appreciating my blog! Great post! 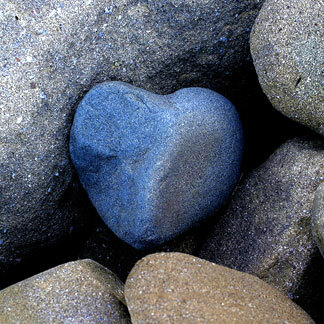 I once was an unbeliever with a heart of stone. Every believer is a miracle of His grace. Thank you so much! Praise God for His miracle of grace in your life! God bless you! Thank you so much for re-posting. God bless you! Thanks to you for the excellent post. THIS is an excellent article. Thanks. My heartfelt thanks. I am thankful the message and the photo touched you. And what did they do when ready to stone Stephen? Plugged their ears. Things have not changed, have they. The heart of stone. Yes, Sherman. Things have not changed. Hearts and ears remain hard as stone unless softened by God. And what did they do at the stoning of Stephen—–>plugged their ears. Things have not changed, the heart of stone. Yes, Sherman. Things have not changed, even in these modern times when we have supposedly learned a lot of things. We need the grace of God to soften men’s hearts. Thank you for reblogging! God bless you!